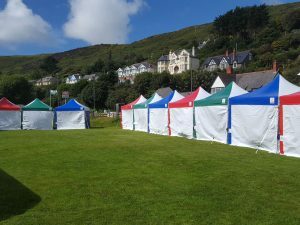 Found the perfect gazebo or marquee but don’t know what to put in it? No worries! 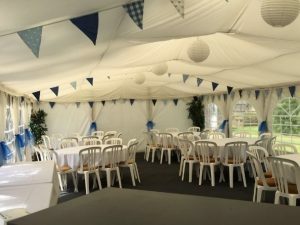 At Jigsaw marquees, we’ve got all of the equipment you could ever need to make your event perfect. Adding those few extra special touches could make all the difference! 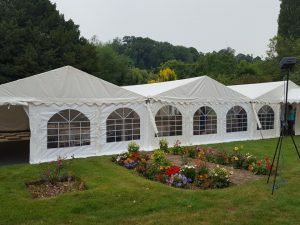 Our equipment isn’t just available for kitting out event marquees, it is also ideal for house parties or for making over the local village hall. Transform any venue into a first-class party location. A professional sound system, a black and white chequered dance floor, a wooden bar unit, a LED bar unit, a glass-fronted chiller fridge, LED Cube seat/table, LED Poseur table, LED outdoor trees, outdoor wooden folding furniture, an outdoor garden suite, poseur tables, a professional marquee heater, Moroccan bean bags, Moroccan pouffes, rustic oak tables, patterned rugs, 2x LED uplighters, a table plan easel and disco lighting. You can take a look at our range of extras in more detail on our Equipment Hire page. 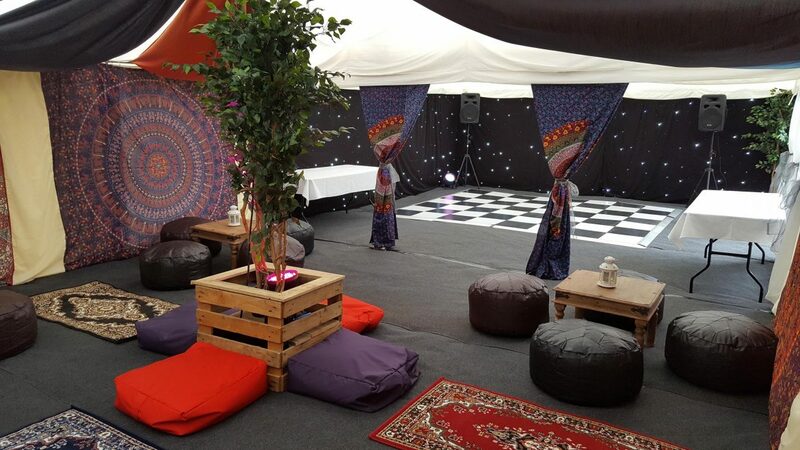 Use our themed extras to add an authentic Moroccan look to your event. 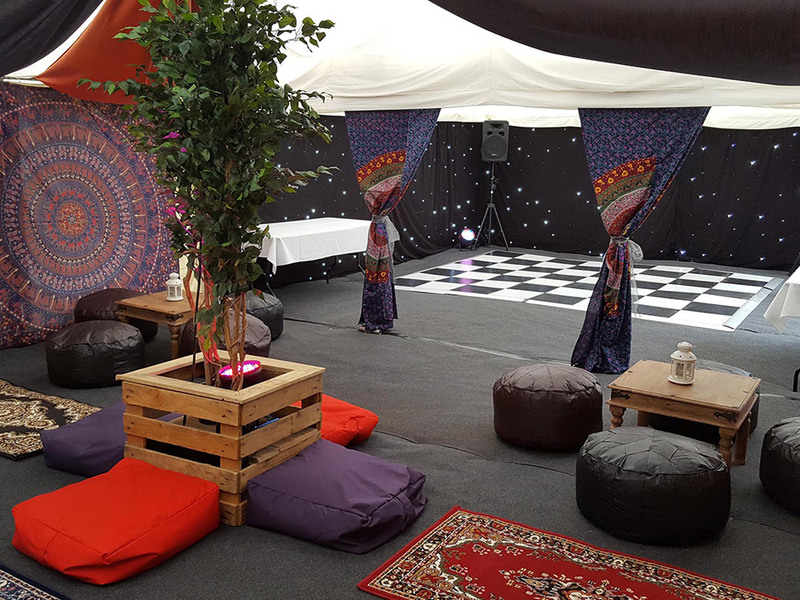 The image below (left) shows our Moroccan themed extras being used to create a party tent with a twist, combining this and our starlit dance tent – perfect! You can also see below (right) that we have a casino themed marquee available. There is nothing else you need to add, just your guests! 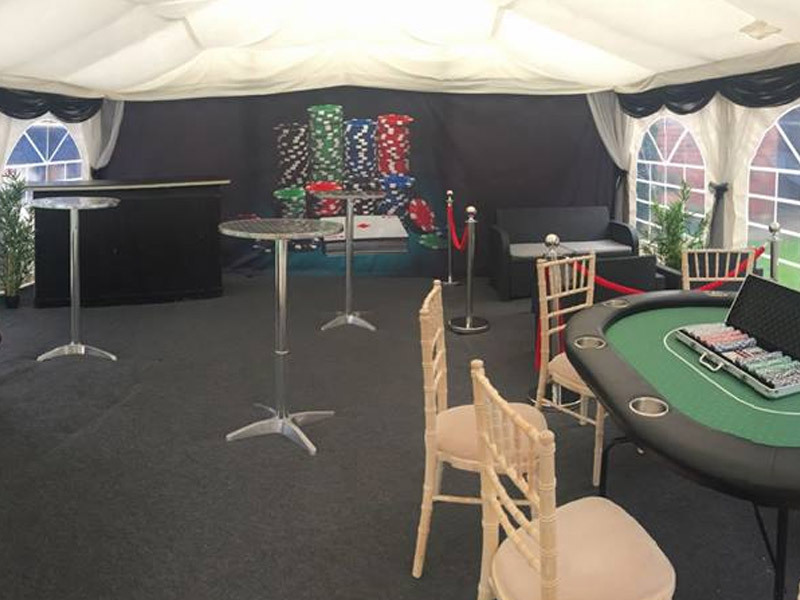 The package includes: a poker table, roulette wheel, a bar and a VIP seating area. Achieve the event of your dreams without having to go through the nightmare of organising everything individually. At Jigsaw Marquees, we have everything you need in one place, ready to go! 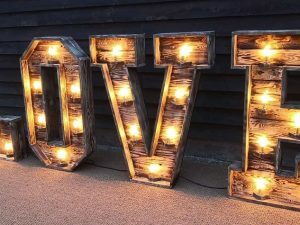 We have many extras available, including themed marquees to make your event extra special! If you are interested, please fill in our online enquiry form or call 01743 600428 for the Midlands office or 01202 980960 for our Southern office.